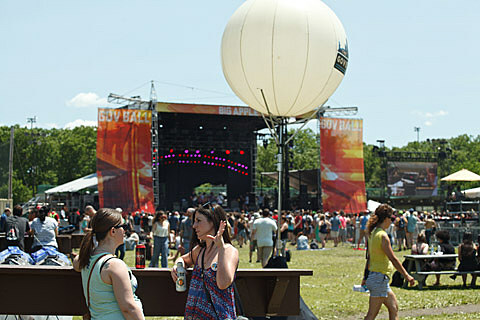 NYC music festival Governors Ball returns June 5-7, and today the schedule was revealed. There’s a few tough conflicts in there. On Friday, fans of both Drake and My Morning Jacket have a decision to make, as do fans of both The Decemberists and Florence + the Machine. And earlier that day, Twin Shadow is up against Charli XCX. On Saturday, two big electronic producers go against each other, Flume and SBTRKT, and you’ll have to decide between Bjork and Conor Oberst. Anyone into both Sharon Van Etten and Kiesza also has some deciding to do. And on Sunday, The Black Keys are up against Lana Del Rey, and Hot Chip are up against Flying Lotus. Weird Al plays at the same time as The War On Drugs. We hope he writes and performs a Mark Kozelek parody for the occasion.